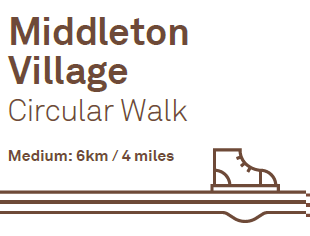 A medium difficulty circular walk through the countryside through Middleton Village, visiting the historic sites and landscapes around the area. Landscape and path type: This route uses unsurfaced footpaths through arable fields, muddy farm tracks, tarmacked pavements and roads. There are footbridges, slopes, pedestrian and kissing gates and a stile. Sturdy footwear is recommended. 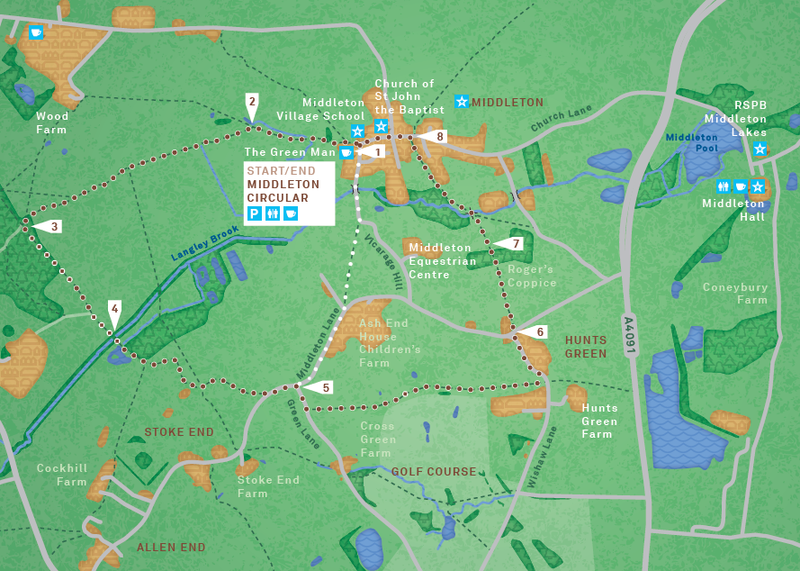 Please be aware that this walk takes you across the PGA course at The Belfry, so be mindful of golfers and adhere to warnings and signs. 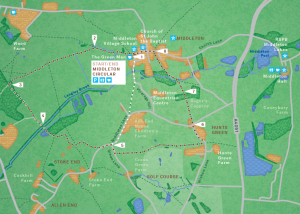 Map: OS Explorer 220 Birmingham, Walsall, Solihull and Redditch.